With the box office success of The Martian representing a return to form for Ridley Scott, it appears that the original Alien director is throwing his weight around re: Prometheus 2. Well, this is a downer. Ever since it was announced that Ridley Scott would be directing a follow-up to 2012's Prometheus titled Alien: Paradise Lost, the future of Neil Blomkamp's planned sequel for Scott's Alien franchise has been a bit of a mystery. The project had been kept under wraps for the most part, and in fact, the only thing we really knew about it was that Blomkamp & Co. had designed a kickass new pulse rifle that would be featured in the movie if/when it ever came out. Of course, the production of the tentatively-titled Alien 5 surely wasn't helped by Blomkamp's recent failures at the box office with Elysium and Chappie, nor by Scott's constant insistence that he tweak certain things about the movie to fall in line with Paradise Lost. Unfortunately, today brings even worse news for those among us who would rather watch Alien vs. Predator a dozen times in a row over the original Prometheus, as it seems that Blomkamp's dream project is being delayed indefinitely to allow Scott to move forward with *his* sequel. The unfortunate news was delivered by none other than Blomkamp himself, via Twitter. "alien is kinda holding/ pending prometheus 2. 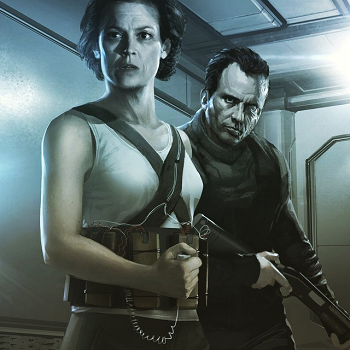 So I shall be working on other things... as much as I love the xeno- and Lt ripley," wrote Blomkamp last night. As disheartening as it is to see a true fan of Scott's work be shoved aside by him, I guess it makes sense to move forward with the sequel to the prequel before anything else. Let's hope that Alien: Paradise Lost, which is currently scheduled for a May 30, 2017 release date, puts up as decent numbers like the first one did, lest 20th Century Fox decides to abandon Blomkamp's Alien sequel altogether.